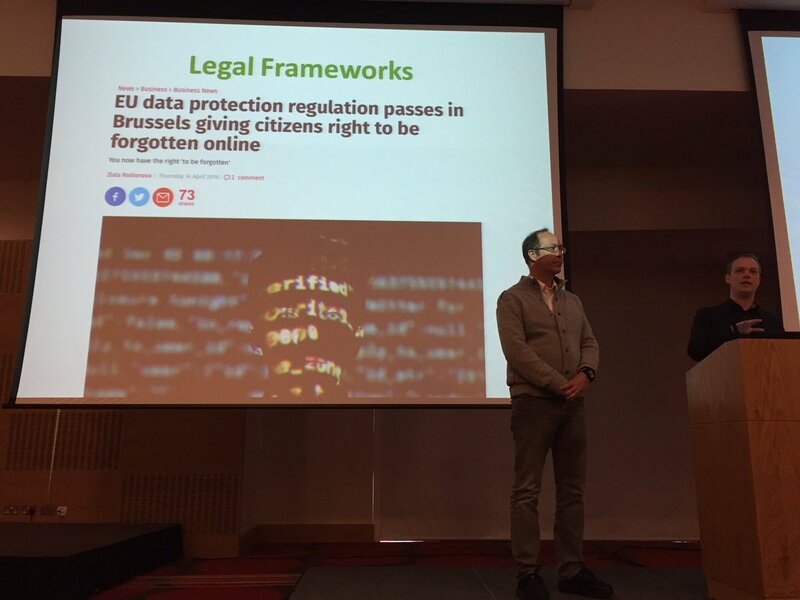 After a lighting keynote from Mireille Hildebrandt on legal aspects of data analytics, it was a full house during our presentation of the DELICATE checklist at #LAK16. People where sitting on the floor or standing around and the 50 Checklists we printed have been sold out in 2 min. Who did not get a checklist, just download it and print it yourself [here]. The DELICATE checklist has been developed over 18 months intensive studies of EU law and various expert workshops on Ethics and Privacy for Learning Analytics (EP4LA). From those workshops we wrote a LACE Review about this pressing topic and developed the DELICATE Checklist for the LACE community in order to have a better discussion ground for kick starting Learning Analytics and Educational Data Mining activities in an educational association. The DELICATE checklist contains eight action points that should be considered by managers and decision makers planning the implementation of Learning Analytics / Educational Data Mining solutions either for their own institution or with an external provider. We hope that the DELICATE checklist will be a helpful instrument for any educational institution to demystify the ethics and privacy discussions around Learning Analytics. As we have tried to show in this article, there are ways to design and provide privacy conform Learning Analytics that can benefit all stakeholders and keep control with the users themselves and within the established trusted relationship between them and the institution.